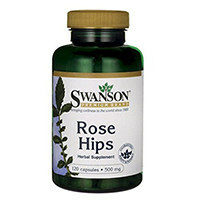 This is our list of the best selling rose hips supplements on the market right now. These 10 brands have been ranked because they dominate the e-commerce sales charts, fitness bloggers love them and they have the highest user reviews online. 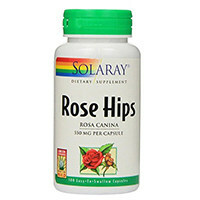 This affordable rose hips supplement from Solaray offers a dose of 550mg per capsule. There are no other added ingredients, including binders and fillers. There’s just pure rose hip extract and a gelatin-based capsule. This supplement is rich in antioxidants, and contains a high level of vitamin C. It helps to bolster and protect the body from outside contaminants. 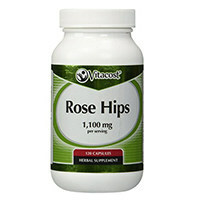 Vitacost’s rose hips come in a 120 capsule container. Each serving consists of two capsules, which can be taken daily with food. There is a high dose of 1100mg of rose hips in each serving. This supplement comes in a gelatin-based capsule and includes magnesium stearate. There are 60 servings in a container, making this a good value. Swanson sells rose hips in a container of 120 capsules for a very affordable price. Each capsule has 500mg of rose hips. The capsules are gelatin-based and may contain magnesium stearate as well. Since a serving consists of just one rose hip capsule, this is a wonderful value. It’s an abundant source of vitamin C.
Rose hips can also be taken as a powder. You can make tea out of the powder or mix it into smoothies or juices. 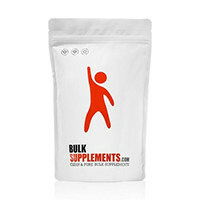 This Bulksupplements rose hip powder contains 100 grams or 3.53oz of pure rose hip powder. One benefit of this is that it doesn’t have any trace amounts of other ingredients like other supplements often do. There are 100 servings in a bag of rose hip powder, and servings can be taken twice a day. It’s a natural anti-inflammatory, and is high in antioxidants. 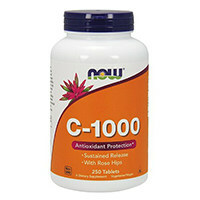 This supplement from Now Foods is designed to gradually release over a two-hour period. It contains vitamin C and rose hip powder together. It’s a powerful antioxidant and is also useful for skin, bone and joint health. 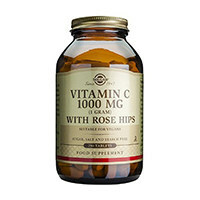 There’s 100mg of vitamin C in each capsule along with 25mg of rose hip powder (Rosae psuedofructus). Thus, the dose of rose hip is relatively low. 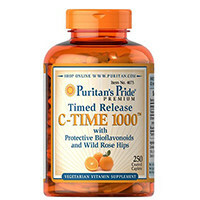 Puritan’s Pride offers another vitamin C supplement that includes a small dose of rose hips to further support the antioxidant effects of vitamin C. It also supports immune system function. This supplement is also formulated to release gradually over a prolonged period of time. In addition to vitamin C and rose hips, there are 25mg of citrus bioflavonoids. Each capsule contains 25mg of rose hips. 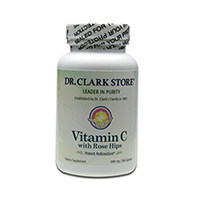 Solgar’s offers a Vitamin C supplement that’s formulated with rose hips. It aids in collagen formation; this helps the health of the hair, nails, skin and joints. It’s also beneficial for healthy gums and for circulatory health. This supplement contains a somewhat higher dose of rose hips compared to other vitamin C formulas. It’s a vegan supplement. This Vitamin C and rose hip supplement from Dr. Clark contains potent antioxidants and helps strengthen the body’s collagen. Unlike the vast majority of vitamin C and rose hip supplements, this one contains no magnesium stearate or any other additives. There’s just active ingredients and a gelatin capsule. 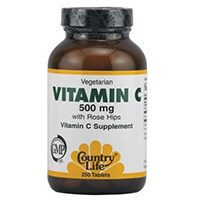 This supplement contains 500mg of vitamin C and a mere 5mg of rose hips (Rosa canina). This is quite a low dose of rose hips, which helps to complement the support provided by vitamin C. This supplement is used to support bone and skin health as well as immune function and cardiovascular health. 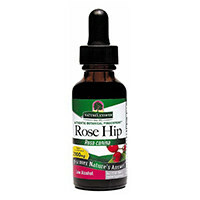 This rose hip supplement is a liquid extract, also known as a tincture. It’s made by using alcohol to extract the vital nutrients and active compounds from rose hips. This is a 1:1 extract, meaning it was made using an equal ratio of rose hips to alcohol. Rosa canina was used to make this extract. It’s a great source of vitamin C as well as beneficial bioflavonoids. This Nature’s Answer extract contains 1oz of rose hip extract. The dosage information is not available. Roses are an iconic and beloved flower, used worldwide to symbolize love and romance. Unlike roses in a flower shop, natural rose bushes grow fruit, just like all other flowering plants. Those fruits are called “rose hips.” Just like rose flowers, they come in all different colors. Like many other fruits, rose hips are used for a wide variety of purposes. They’re used for food, to make jams, jellies, marmalade, syrup, rose hip soup, pie or bread. They’re also used to make certain beverages, including rose hip wine and rose hip tea. Rose hips can also simply be eaten raw. These fruits have recently gained attention as an herbal supplement, but they have been used all throughout history for health purposes. Rose hips contain a high concentration of vitamins A, C, D, and E, as well as helpful flavonoids and iron. They are a source of abundant antioxidants. They help boost the immune system. Rose hip is used for a variety of other purposes. This supplement is often used to improve overall joint health. Rose hip supplements can be made from many different rose plants, but Rosa canina (dog rose) is the most common. Rose hip supplements are effective whether they come in the form of a powder, extract or capsule. Always use supplements that contain a pure version of the active ingredient. The supplement should be standardized so that the dose is always consistent, and should have clear instructions about how often to take the supplement. If you’re taking rose hip mainly for its vitamin C content, you can look for a combined vitamin C and rose hip formula. Rose hips can be consumed whole as a food. For medicinal and health purposes, they can also be consumed in a concentrated form by taking an extract, capsule or powder. Rose hip tea is also a common preparation. Rose hips are often added to vitamin C supplements to further complement the beneficial effects of pure vitamin C or ascorbic acid. In this case, the dose of rose hips is usually lower than the vitamin C.
Typical doses of rose hip can range from 500mg to 1000mg at a time. When combined with vitamin C, the rose hip doses are lower, usually under 100mg. To aid absorption and ease the stomach, rose hip should be taken with food. This is a relatively safe herb to take, though it’s always best to consult with a practitioner before making decisions about dosing.